In order to understand the concepts of the static and seismic behavior of the buildings, a single-storey structure is examined. The structure consists of two frames (each frame consists of two columns connected to one beam) and a slab. Foundations are not taken into account, while columns are considered fully restrained (fixed) at their base. 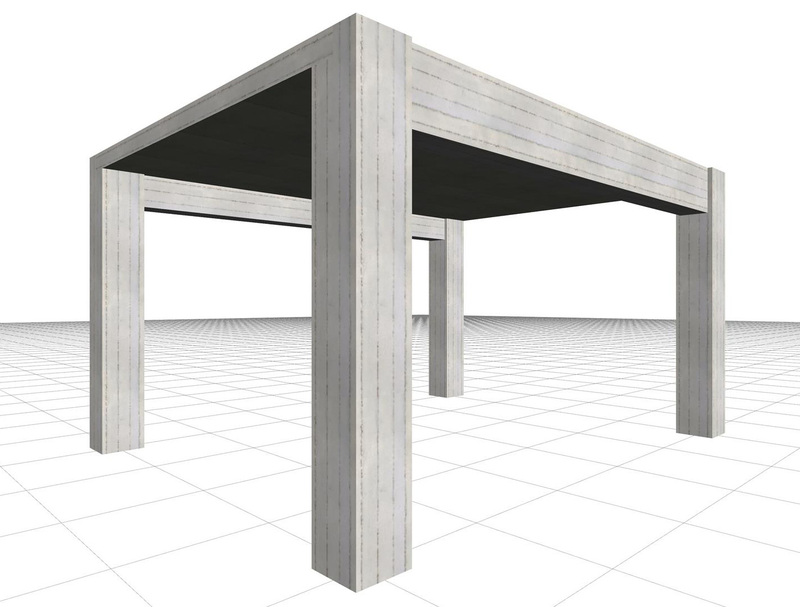 The structure consists of four columns, two beams and a slab (project B_331) [*] NoteThe educational version of the related software runs the project <b_331>. 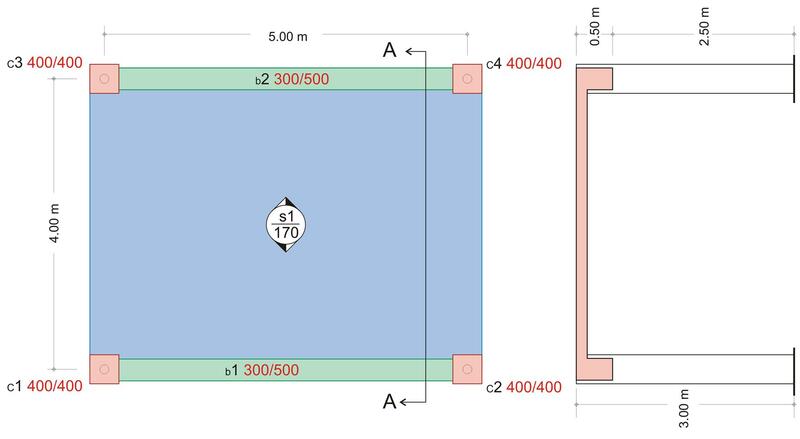 Τhe load of the slab covering is ge=1.00 kN/m2. Τhe imposed (live) load on the slab is q=5.00 kN/m2. The additional linear load on each is gw=20.00 kN/m.